Interlab test sieves | Interlab B.V.
Interlab is one of the fast-growing international manufacturers of test sieves. 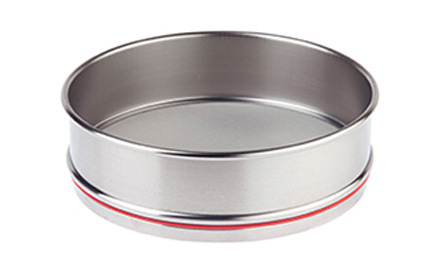 We offer you a variety of test sieves. All Interlab test sieves have stainless steel frames and are supplied with woven wire mesh or stainless steel perforated plate in accordance with DIN ISO 3310-1/DIN ISO3310-2. Precise and clear labeling of the sieves with fully traceability based on individualized engraving of the test sieve. Interlab test sieves with stainless steel frames are suitable for dry sieving and wet sieving as well as for the manual sieving. Your benefits with interlab test sieves. Material selection and a very stable construction of sieve, a long service life. The cross-contamination is avoided through a smooth inner frame surface. Compatibility with comparable, standardized sieves. Excellent tension of woven wire mesh even after intensive use. Perforated plate in stainless steel with square hole diameters from 4 mm to 125 mm.